Welcome to the true “end of the Alaska Highway”! 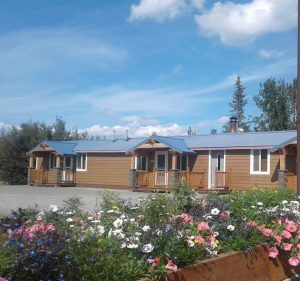 Come and enjoy a modern friendly inn, started by a pioneer family whose history in Alaska goes back to 1934 and is now owned by Delta Accommodations. 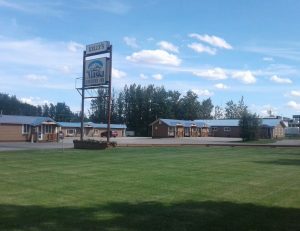 This immaculate twenty-one room motel is located in the heart of Delta. Opened by the Kellys in 1963, the inn has undergone extensive remodeling. All rooms have a private bath, TV, telephone, refrigerator and in-room coffee. Kitchen units are available upon request. We are now a non-smoking motel. 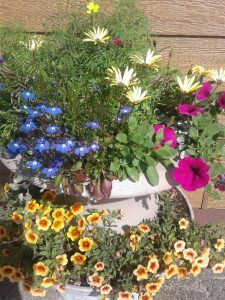 Alaska Country Inn is within walking distance of gift shops, restaurants, the supermarket and deli, the post office and the visitor’s center. We are handicap accessible. The goal of Delta Accommodations is to make your stay at Kelly’s Alaska Country Inn as comfortable and enjoyable as possible. We treasure the history of our beginnings and look forward to the opportunity to serve you! For the very best in lodgings on the friendly frontier, Delta Accommodations invites you to stay at Kelly’s Alaska Country Inn.